In late July we did a quick one-nighter backpack trip in the Flat Tops Wilderness of Colorado, from Trappers Lake up towards Trappers Peak. We camped near one of hundreds of lakes that dot the high alpine plateau and enjoyed a sunset at the top of Trappers Peak. 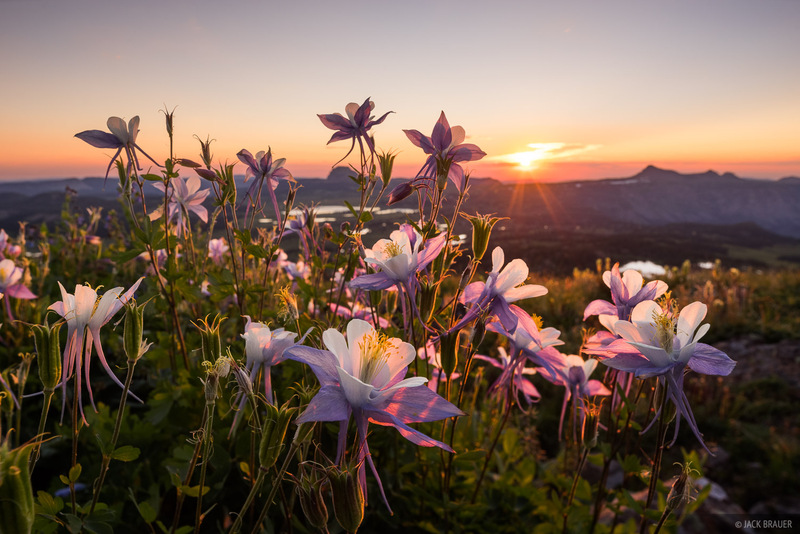 Sunset light illuminates a bunch of columbine wildflowers in the Flat Tops Wilderness. Photo © copyright by Jack Brauer. 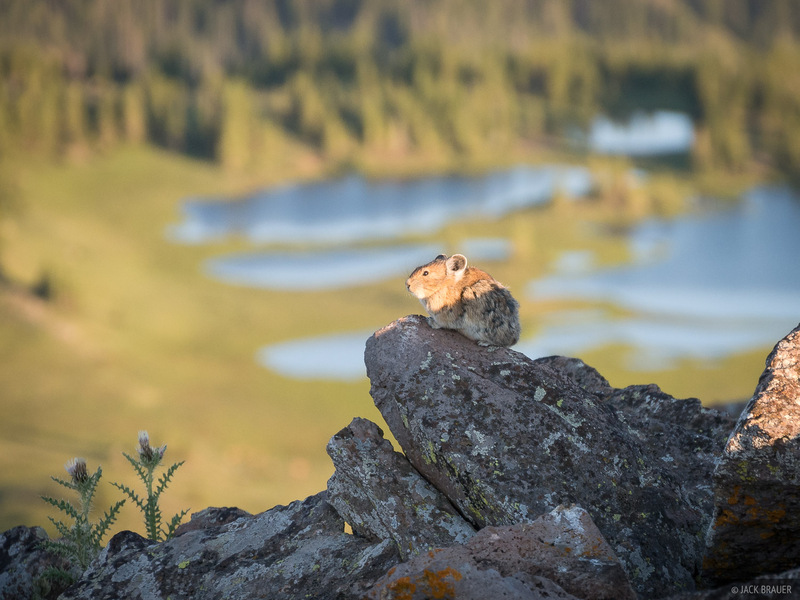 A pika soaks in the last light of the day near its hole at the summit of Trappers Peak. Photo © copyright by Jack Brauer. 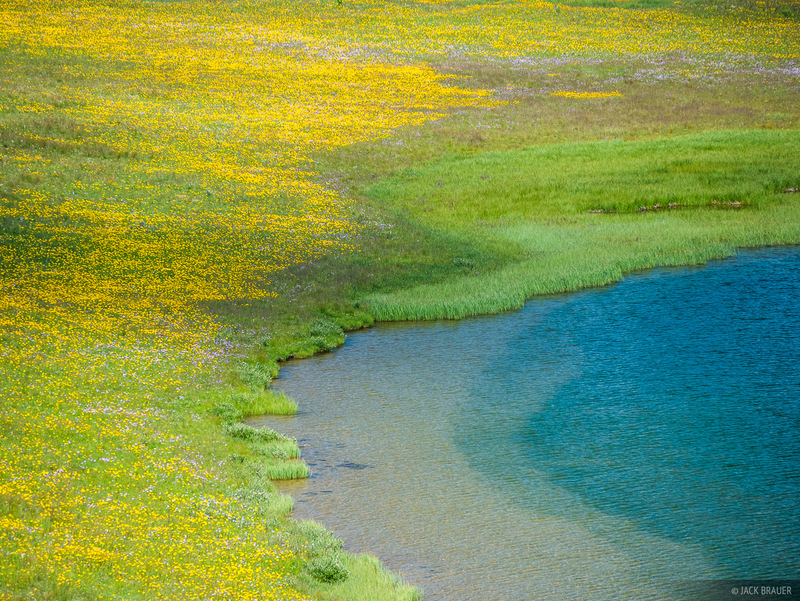 Wildflowers and lake. Photo © copyright by Jack Brauer. See more photos from the Flat Tops here. Posted in Colorado, Backpacking & Trekking and tagged Colorado.